Sadly Dash Riprock was taken much too soon from us. Dash was also awarded the #2 Owner handled High Point Conformation Dog & #2 overall High Point Conformation Dog by the Northern Alberta Canine Association (NACA) for 2003 and the #2 Top Boxer Sire in Canada for 2004. 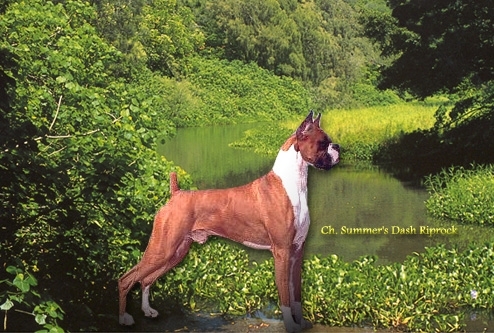 "Dash Riprock" was always Breeder/Owner handled in Canada.